Recently I spoke at the annual conference for the Creative Industry, formerly known as the Print & Graphics conference. At first glance, you might expect that our digital times present incredible challenges for this sector. But the opposite is true. If you start to look there are incredible opportunities for buzzable services, applications and business models. Our digital world – as in many industries – actually creates tons of hybrid new applications in the physical world that would otherwise not exist. And yes, 3D printing is one of those ; ) You can flip through the full slidedeck with all the examples and/or check out a few examples in more detail below. A Print Ad that charges your phone. Embedding technology into paper is on of the promising directions for the printing industry. As the Nivea example shows, bringing functionality to paper creates a big impression. And once you dig this you’ll find it easy (although not always from a technological perspective) to see the next 10 possibilities. There are variations on this theme, such as the ad that brings you Wifi, the ad that brings you additional content via that same wifi connection and Seed Paper: plant it and it will grow into a garden. 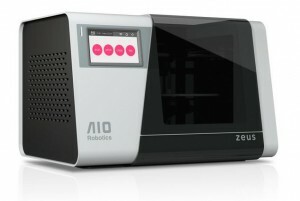 The Zeus 3D Fax. It is not difficult to see the appeal of this machine that seems straight out of Star Trek. You put an object into a machine and it duplicates itself. In another place ! The incredible buzzability in Zeus stems from the combination of two seemingly impossible feats: creating objects out of nothing (3D printing) and moving objects through space (time machine, beam me up). Magic squared. And – or maybe this is just me getting carried away – I would even argue that linking an archaic name – fax – to an incredibly innovative technology makes it extra disruptive, i.e. buzzable. 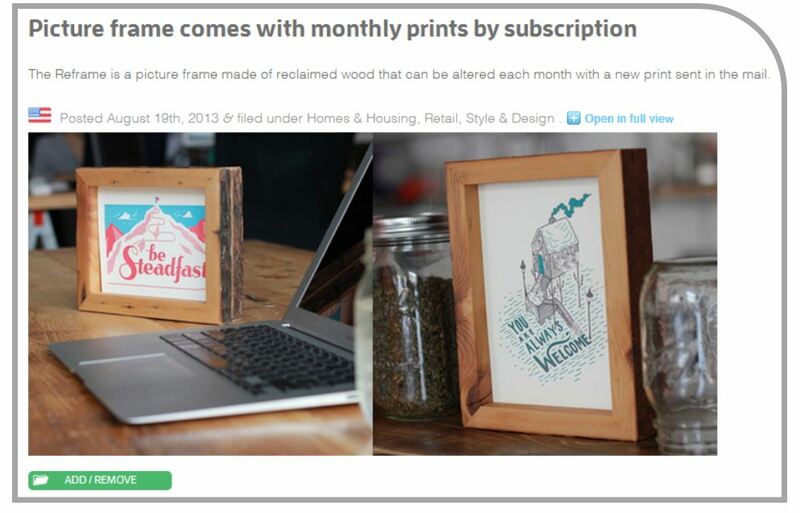 Reframe Picture Frame Subscriptions. I like this one because of the business model. If we are printing less, why not create a new market ? This company sells the hardware (frame) and then the software (subscription to pictures in the frame). Think of all the applications: content from museums, photographers etc. Interestingly enough, I recently met an entrepreneur that is trying to get artistic content onto your smart TV via a subscription model. The Flag App also creates its own market: free instagram pictures that are paid for with ads on the back. Although I am not a big fan of creating even more ads I like the fact that digital images become real ones. If they spend some energy in trying to make the ads themselves relevant it would work even better. & More …After the event I stumbled onto a few other buzzable opportunities in this industry. Check out Dillys, one of the contestants I describe in my blog about the Philips Innovation Award competition. If you used to print billboards transforming to fully interactive digital billboards might look like an entirely different business but could also be seen as just a pivot of your business model. My last buzzable example in printing ? Check out the video about Mod, a cool way to digitize your notebook and get best of both. P.s. did you spot something interesting ? Many examples were born in Kickstarter….